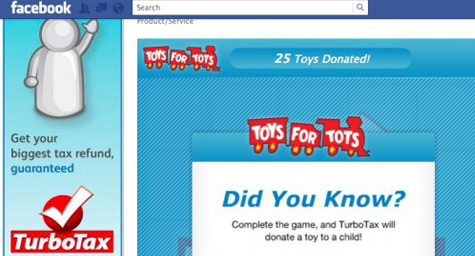 Can Brands Market on Facebook Without Actually Spending Money on Advertising? Facebook is a powerful advertising tool for brands and its growing strength is driving an increase in advertising spending on the social network. Companies are realizing that fueling their Facebook presence takes a steady investment in resources that support their social content and commentary. While Facebook offers a variety of free resources that many businesses use regularly, the industry shows that Facebook ads are receiving a growing share of company budgets. AdAge.com reported on how the size of a brand’s Facebook presence often correlates directly to its advertising spend. “The more brands spend on their Facebook presence overall, the higher the ads’ share tends to be,” said Colin Sutton, OMD’s director-social media, who estimates that ads comprise from 60 percent to 80 percent of the spending for clients allocating $1 million yearly to Facebook. He added that the percentage is even higher for clients spending more than $5 million each year on Facebook. Facebook ads aren’t the only feature getting greater interest from businesses. With Facebook’s shift to the timeline format and the repositioning of ads into more of a story format, brands are changing the way they spend on content creation and app development. Now, brands are investing in developing social apps that can inform users about their friends’ activities in real-time. In addition, the social network’s recent emphasis on using creative content as a basis for ad development is expected to lead many brands to increase their spending in both areas. Facebook’s shift toward content-driven advertising is likely to greatly increase the percentage of budgets allotted for creative development. After all, if brands can develop compelling content, it won’t cost as much to spread their message to the masses. To learn how to leverage the power of Facebook in your online advertising strategy, contact MDG Advertising today at 561-338-7797, or visit mdgadvertising.com.